At Pathway Legal & Migration Agents, our advisors are registered with MARA. 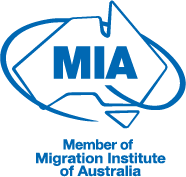 If you would like assistance with migrating to Australia contact our friendly team for comprehensive and cost-effective advice. Newer PostI want to know how to immigrate to Australia – where should I start? Older PostWhat is the significance of being a MARA agent?